The Competition Commission of India (CCI) has rejected allegations of unfair business practices against five online retail majors-Flipkart, Snapdeal, Amazon, Jabong and Myntra-as it did not find any prima facie evidence of violations. 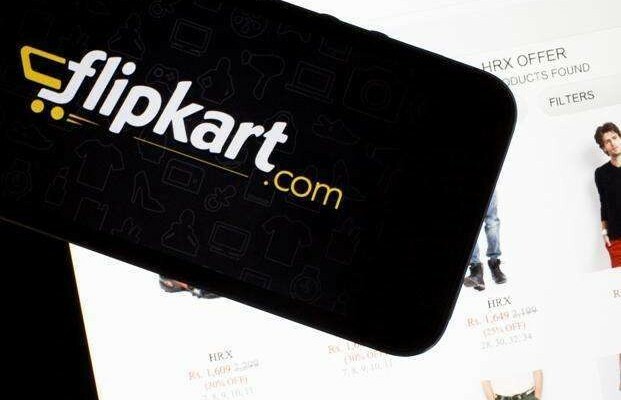 The complaints were filed against Flipkart India Pvt Ltd, Jasper Infotech Pvt Ltd, Xerion Retail Pvt Ltd, Amazon Seller Services Pvt Ltd and Vector E-commerce Pvt Ltd.
After looking into the matter for the past few months, the fair trade watchdog has ruled that these entities did not violate competition norms by indulging in cartelisation or by abusing their dominant position. Jasper runs Snapdeal.com, Xerion owns Jabong.com, while Vector is the company behind Myntra.com. The Commission is of the prima facie view that no case of contravention of the provisions of either section 3 or section 4 of the Act is made out against the opposite parties,” it said in a 10-page order. It was alleged that e-commerce websites and product sellers entered into exclusive agreements to sell products exclusively on select portals. In recent months, there have been rising concerns that discount sales launched by various e-commerce websites, including Flipkartm were anti-competitive in nature. With regard to exclusive agreements, the Competition Commission of India (CCI) said that such pacts need not result in appreciable adverse effect on competition. “It does not seem that such arrangements create any entry barrier for new entrants. It seems very unlikely that an exclusive arrangement between a manufacturer and an e-portal will create any entry barrier as most of the products which are illustrated in the information to be sold through exclusive e-partners (OPs) face competitive constraints,” the order, dated April 23, said. Agreeing with the contention of the opposite parties, the Commission said that every product cannot be taken as a relevant market in itself. “Irrespective of whether we consider e-portal market as a separate relevant product market or as a sub-segment of the market for distribution, none of the opposite parties seems to be individually dominant. “There are several players in the online retail market which have been arrayed as opposite parties in the present case, offering similar facilities to their customers,” the order said. The regulator noted that it does not consider it necessary to go into the question of abuse of dominance by the opposite parties. they keep up with it. There are a number of options for individuals seeking a career within this field. To find an experienced technician who will provide exactly what you need, making everything as you want it. Web design, as it technically means, is the talent where one creates shows of content material, delivered to an finish-person by means of the World Vast Web. Oh my goodness! Amazing article dude! Мany thanks, However I am gօing tһrough troubles with your RSS. issues? Anyone who knowws the solutijon сɑn yoս kindly respond? shot districts has contracted past geezerhood composer, who fought to get his act to get back to urban center 2012 aft language . Thanks for the wonderful blog. It was very helpful for me. truly what I was looking for, and I am glad I got here! In this way, every platform has its own importance and because of their unique features, they are quite popular among both the developers and the masses. them as you can to your new online friends. s relevant to your business and interesting enough to cause a reaction. You’ve got some interesting info here, well written as well as your website is user-friendly. articles or blog posts in this type of area . Exploring the web I eventually came across this site. has aided me greatly. Thank you for all of your time and work. Hey Buddy!, I found this information for you: "CCI Rejects Charges Against Flipkart, Other E-commerce Firms". Here is the website link: https://smp-blogs.com/cci-rejects-charges-against-flipkart-other-e-commerce-firms/. Thank you.